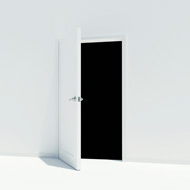 Online marketing is a door to more business, but it's not the only door. It should be used in conjunction with what you have. I will develope a custom plan to increase your online visibility. Facebook Social Media Marketing will not work for every business especially those dealing with Finances. Search Engine Marketing doesn't work for everyone because Google Adwords can get costly. "Ugly Ads" can outperform "Pretty Ads" because of target demographic. Contact me for a free consultation to help you get found.